You can get a free Wreck It Ralph DVD download from Disney. You must take the Disney Movies Anywhere tour. After completing the tour, click ‘get started’ to connect your Google Play or iTunes account to the Disney app. Following this, you can then view your purchases on the Disney site. 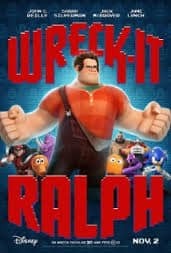 The free Wreck it Ralph DVD download should be added to your account. Hey, Tearsa. Thank you for reading our blog. Did you apply for this freebie. It’s only eligible for the online version.